摘要 长期城乡二元制发展模式对城乡女性体育消费状况影响显著。采用文献法、问卷调查法、数理统计法等研究方法对城乡女性体育消费状况进行调查研究。结果发现,城乡青、中、老年女性在体育消费态度、体育消费水平及体育消费结构等方面均存在显著差异,同时对差异成因及影响城乡青、中、老年女性体育消费的因素进行了分析。 The development pattern of urban and rural dual system between urban and rural areas for a long time had a great effect on women＇s sports consumption situation. 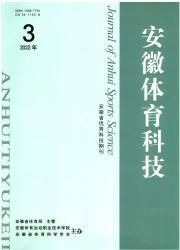 The author makes a survey of the sports consumption attitudes,motivation,level and structure of young,middle- aged and old female of urban and rural areas by the methods of literature,questionnaire and mathematical statistics. The results shows that there are significant differences in sports consumption attitude,sports consumption level and consumption structure,this paper analyzes the factors of sports consumption.